Pewaukee City Hall is located at W240 N3085 Pewaukee Road, Pewaukee, WI 53072; phone: 282-691-0770. 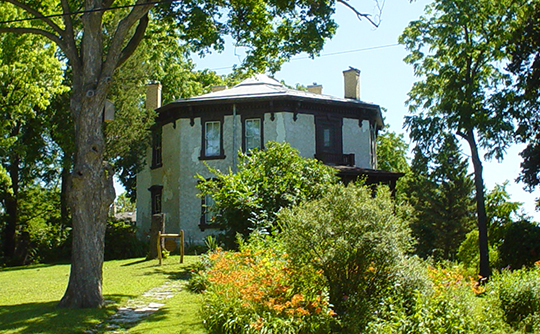 Photo: Deacon West Octagon House, ca. 1856, 370 High Street, Pewaukee, WI Listed on the National Register of Historic Places in 1975. Photographed by User:MagRyan, own work, 2008, [cc0-by-1.0 (creativecommons.org/publicdomain/zero/1.0/deed.en], via Wikimedia Commons, accessed October, 2017. Pewaukee was established in the early 1840s. The first official commissioners were awarded services fees that varied from 75-cents to 1-dollar per day.